DESIGNER LOFT WTIH ARCH VIEWS... 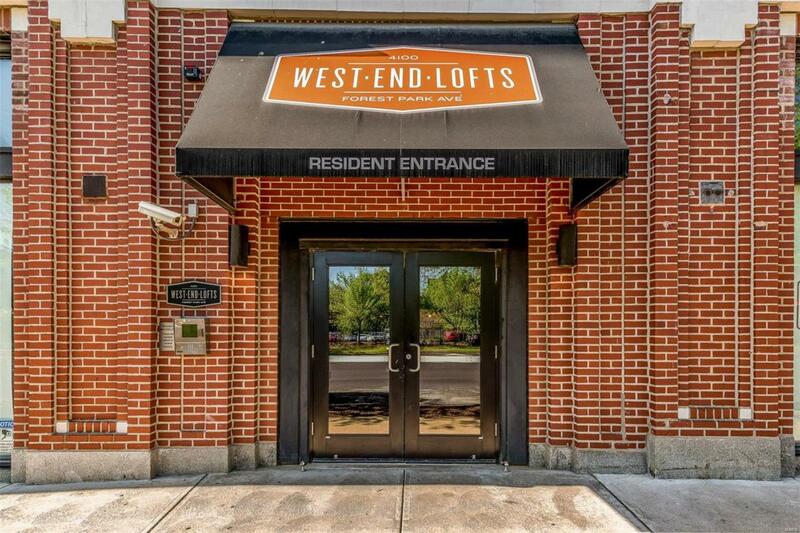 Step into one of the only lofts at West End Lofts that is flooded with natural light in every room. This unique Newberry floor plan has an entire wall of East facing windows that provide stunning views of the St. Louis skyline from nearly every inch of the 1,500 square ft living space. 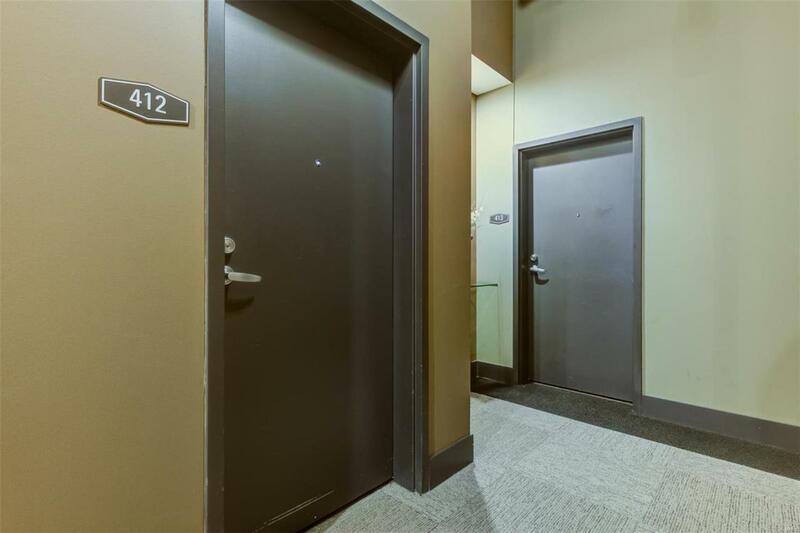 All the stylish finishes these lofts are known for are here including rich hardwood floors, Pedini Italian cabinetry, granite counter tops and luxurious bathrooms. 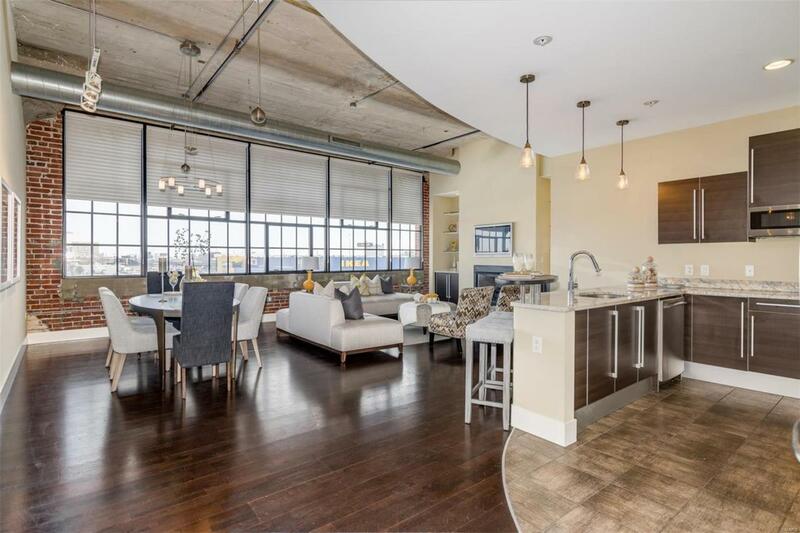 Some upgrades in this sophisticated loft are a glass block shower, customized master bedroom closet, tile back splash & floor in the kitchen, gas fireplace with built-in book cases in the living room & 2 parking spaces. Amenities in this lifestyle building include: pool, fitness center, billiards rooms, guest suite and gated parking. 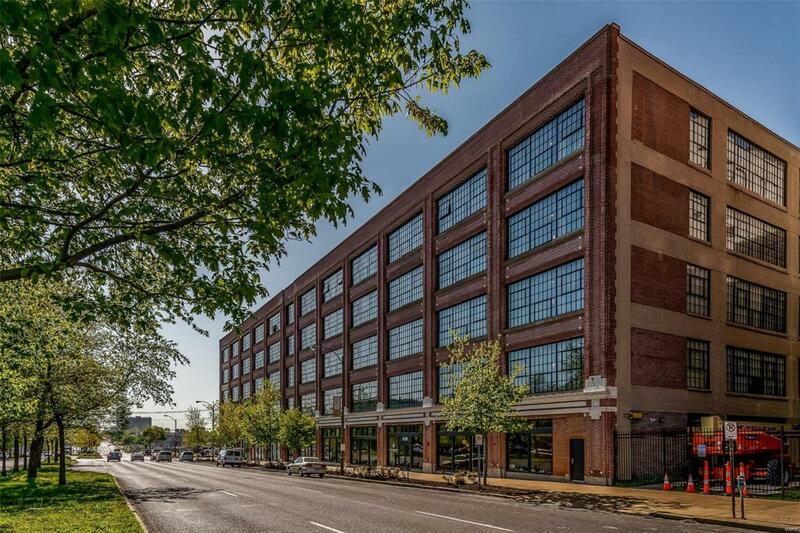 West End Lofts is located in the vibrant CWE close to Wash U Medical School, SLU, BJC Campus and a short block from the Cortex District. Close to everywhere you want to be! Vitals Association Mgmt. Pet Restriction Resale Cert Reqd.